Hi friends....does anyone still read this thing? After my sporadic blogging over the last 2.5 years, I wouldn't be surprised if the answer were no. But, I finished grad school last week (praise the Lord!) and so I should have some more free time on my hands for fun things like workouts, reading, trips and writing about it all. I can't promise I'll go back to blogging five days a week (who has the time to read that much anyway? ), and I'm still trying to figure out what a good cadence of posts would be, but I would like to at least blog more frequently than once every couple of months. In the meantime, let me bring you up to speed on what I've been up to the last couple of months (other than school). So since we've last touched based, I've visited and run in four different states: Texas, Massachusetts, Pennsylvania and Alabama. I already covered my running adventures in Texas in an earlier post, so I won't rehash that for you. 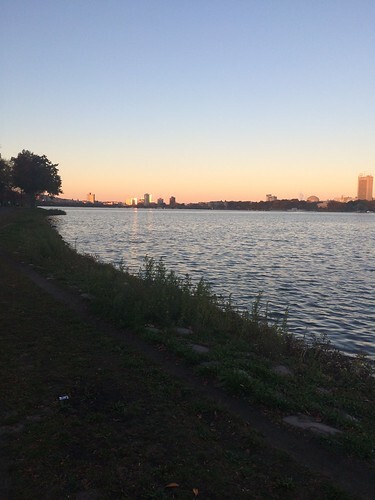 Then I was up in Boston for work in early November and got to do a chilly morning run along the Charles River. The views were gorgeous, but I probably should have packed warmer running clothes. My long-sleeve tech top was not cutting it with the wind. I am not made for New England winters. 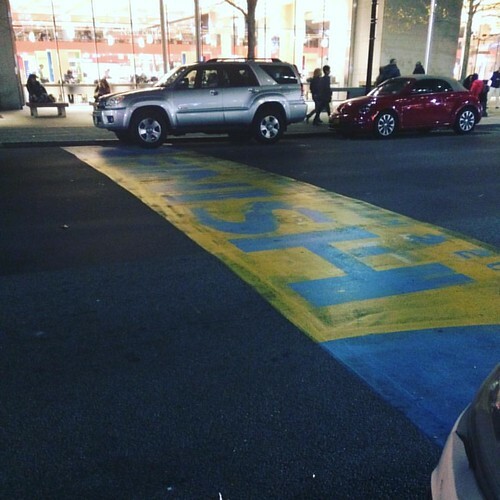 I also took a trip to see the Boston Marathon finish line...because how could I not? 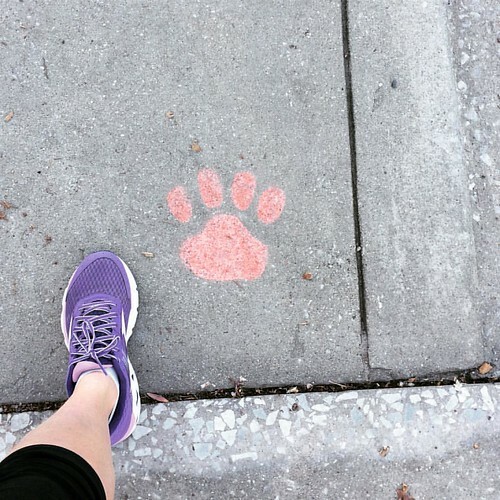 I was home in PA for Thanksgiving, and while I mainly focused on wrapping up MBA coursework, I did manage to squeeze in a short three-mile run around town. This run was the beginning of a large body of evidence proving how out of shape grad school made me. 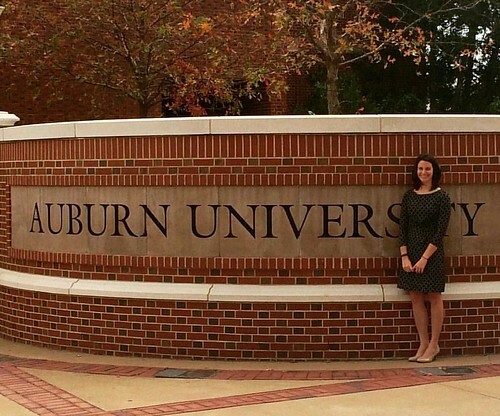 Then lastly, I was in Alabama last week to finish my MBA and present on my Capstone report. 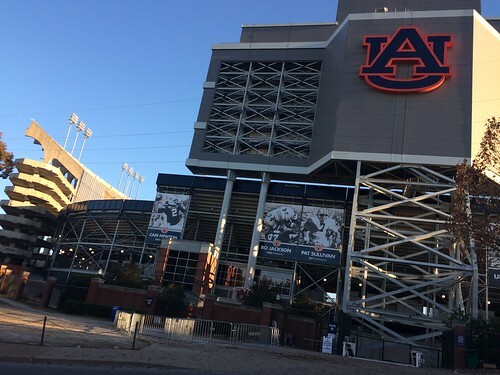 I hadn't ever stepped foot on Auburn's campus before that, so I wanted to do a run around campus to see the sights. Guys, let me tell you, I can get on board with December weather in Alabama. I did my run in capris and a long-sleeve top and was so warm by the end I was rolling up my sleeves and ripping off my ear warmer. Auburn's campus was beautiful. It reminded me a lot of Maryland's with it's old stone buildings and quads. The football stadium though was juuuuuuust a bit bigger than what we've got in College Park. So that's what I've been up to on the running front. Other than those four runs there hasn't been much happening. I have lost a lot of my fitness (though oddly enough, haven't really put on weight), so I have a long path back to where I was prior to grad school. I'll have a couple posts in the next couple days that talk a little more about my MBA program and my fitness/running plans going forward, but for now, just wanted to give a quick update on what's been going on this semester. Welcome back! Been missing your posts. Congratulations on finishing the MBA and getting to see so many cool places! Kelley loves going to Alabama for some reason. I'd rather go to Mass. Congrats on the MBA and the end of school! I'm struggling already this year with these "winter temps" (in SC...). Boo winter. It's definitely tough to find that blogging groove again - how did we have all that time a few years ago? !